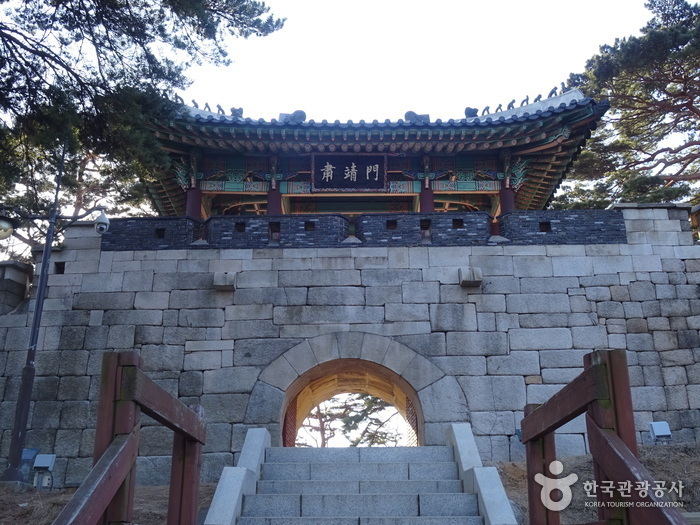 Of the 4 Great Gates (Sukjeongmun, Namdaemun, Dongdaemun, and Seodaemun), established by the Emperor of 1396, Sukjeongmun is called the north gate. Located to the north of Seoul, this gate, with Gyeongbokgung Palace in the center and Changaemun (Jahamun) to the right, makes up the wings of the north gate. Due to the possible danger of the area being damaged from all the pedestrians, the Emperor of 1413 planted pine trees and prohibited passing this area. Henceforth, Sukjeongmun became a scenic walkway until the North Korean Communist infiltration of 1968, which prohibited the passing of all civilians. The reopening of Sukjeongmun in April of 2006 has led to the opening of Bukak Mountain in April of 2007 and is in the process of dividing it into 3 courses. Bukak Mountain has been kept well-preserved due to a long period of restriction in this area, and if you climb the mountain, you will be able to see all of Seoul in one breath.